Emma Murphy first began her vegan journey nearly nine months ago. The University of Tampa junior communications major has found a way to share her story with others of all ages through the popular social media platform Instagram. Murphy’s account is called The Plant Method. “I ended up choosing ‘The Plant Method’ because plants are a staple in the vegan diet, and the word ‘method’ represents accomplishing a healthier lifestyle through eating plants,” said Murphy. 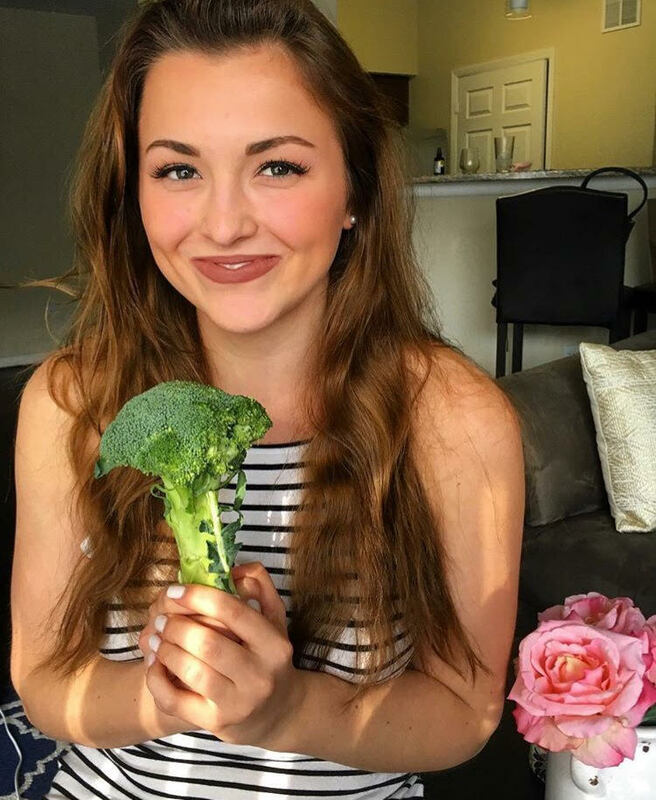 The young health enthusiast posts photos of her everyday meals including recipes she makes herself as well as her favorite vegan hot spots around the city of Tampa. For Murphy, being vegan is not simply a diet, but rather a way of living. Her lifestyle change was not dependent upon a whim. Murphy was inspired by one of her good friend’s family members who was struggling to overcome an ongoing battle with cancer. Being aware of one’s surroundings and taking care of the environment we live in was a big part of her process to converting to eating a plant based diet. The vegan foodie lives by the motto that food is our body’s fuel and therefore, we should consume food that is best for our bodies. “Veganism is really putting your health first. Its taking care of your body which is your temple which is what you have all your life so you might as well put that first,” said Murphy. The overall goal of The Plant Method is not to push people to go vegan. Murphy hopes to simply inform people of what it is like to eat clean and avoid processed and harmful food additives. One of the recipes that has become a favorite from her account is Murphy’s very own vegan ice cream creation. “All it consists of is however many bananas you want, I usually do four or five for one serving. You freeze them overnight and the next morning, you throw the bananas in a blender and blend for a minute or two. You then add natural sugars,” said Murphy. In addition to her Instagram, Murphy also video blogs on her own person YouTube account. Her posts consist of her usual meal preparations throughout a regular day. A classic organic breakfast for Murphy consists of fruits, oatmeal sweetened with natural sugars, acai bowls, or a green smoothies. Lunch is usually potatoes, a rice dish with beans, or another fruit smoothies. Dinner is usually something spicy with a hint of flavor such as a vegan burger or a pasta dish. “Dinner is usually the time I go out to eat most because I like to see what other people can create out of vegan options and I kind of find my own inspirations through that,” said Murphy. Her favorite local eateries that have plenty of options when it comes to vegan entrees are Fresh Kitchen, Soho Juice, and SoFresh, all of which are located on South Howard Avenue. Murphy hopes that her followers and viewers will take at least one thing away from her Instagram and Blogging: Being vegan is not as hard as one may think. Emma’s personal motivation to live a healthy lifestyle is quite contagious those around her as well. Murphy’s current goal is to show people that going vegan is affordable and creating nutritious yet healthy meals is simple. Her ultimate objective is to turn The Plant Method into a food prep and delivery business. Her desire is to provide those who are vegan or have food sensitivities to have a quick and easy way to get fresh plant based meals delivered directly to their location.